Guy Laliberte may have lost over $31m playing online poker over the course of 5-6 years, but he spent some $35m ona single 12 day space jaunt in 2009! 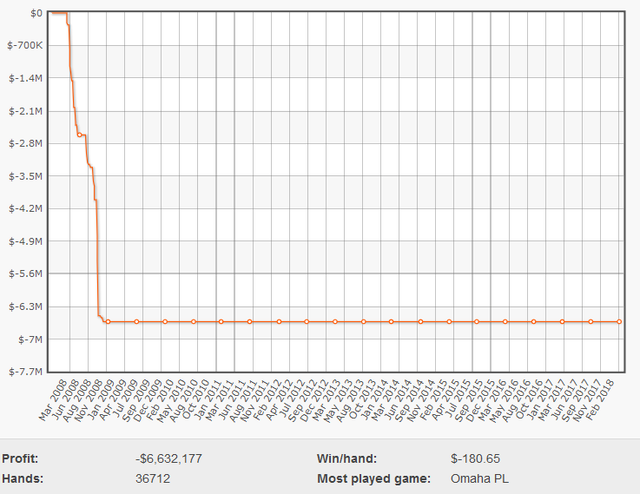 Take a look at HSDB's overall results and you'll see that no single account comes close to Gus Hansen's when it comes to online losses, sitting as it does at a staggering -$20,737,007 - double that of the next losingest account. However, Gus is by no means the biggest online loser - that dubious honour goes to Canadian billionaire Cirque Du Soleil founder and philanthropist, Guy Laliberte, whose combined accounts (that we know of) have lost in excess of $31M between 2006 and 2012. There's no doubting that Chris Moneymaker's 2003 WSOP Main Event win kick-started the poker boom. There's also no question that sponsorship money paid out by the likes of Full Tilt in the mid-late 00's helped fuel the poker economy and make household names out of online stars. 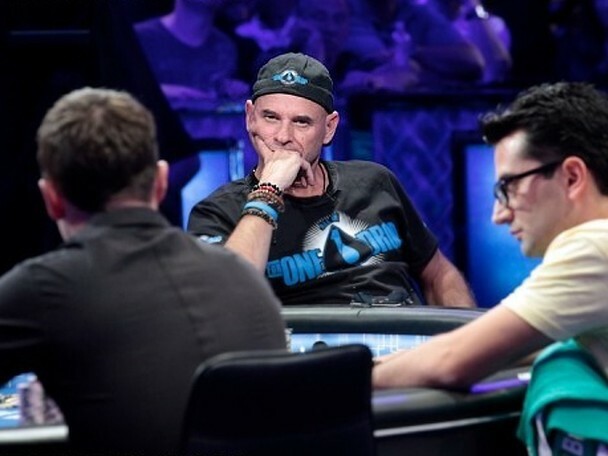 But perhaps Guy Laliberte is the unsung hero of the online high stakes poker economy, as he handed tens of millions of dollars to the likes of Tom "durrrr" Dwan, Phil Ivey, The Dang Brothers (Urindanger and trex313), Phil "OMGClayAiken" Galfond, and Patrik Antonius over a six year period at a time when the biggest ever online games took place. Laliberte is well known for his philanthropy, with his 'One Drop' charity poker tournaments raising millions of dollars to raise awareness of water-related issues in 3rd world nations. Some have joked that Guy was already well used to philanthropic ventures, having donated tens of millions of dollars to the high stakes poker community. 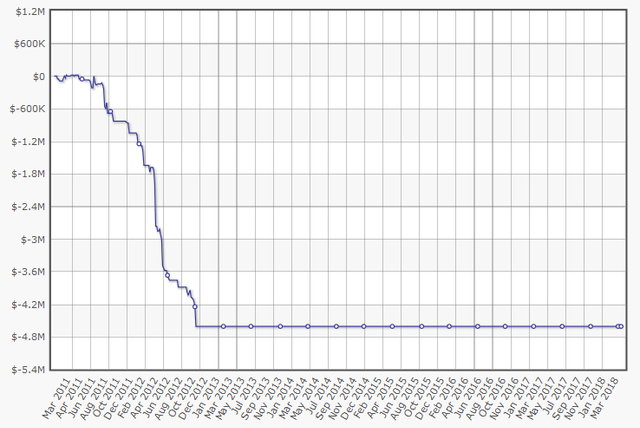 The reason Guy's losses don't appear to come close to Gus Hansen's is because, unlike most people (and strictly against the site's Ts's&C's) he seemed to be able to multi-account with impunity at Full Tilt, playing several different accounts, some of them during the same time periods. While some posters on the forums cried "unfair! ", it's easy to see why Full Tilt would have been willing to turn a blind-eye to such goings on. Firstly, Guy brought the sharks flocking to Rail Heaven, Full Tilt's $500/$1000 NL tables, and games at Rail Heaven created interest, generated excitement, big pots, and epic clashes. Secondly, Guy's constant bleeding of cash to the other high stakes pros enabled them to keep playing each other without fear of cannibalising the games, and thirdly if they hadn't allowed him to MA it's likely Guy would have left sooner. Although it didn't take long for the pros to work out who the new guy at the table was, at least when he initially showed up on a new account he got to play anonymously, at least for a while. Guy's first registered account we know of was "noataima", which first showed up in our searches on October 17, 2006. Last seen in April 2008 this was Guy's biggest losing account, with $7,067,935 in losses between the high stakes NLHE and PLO tables. Please note that we only started recording results late in 2006, so it is very possible noataima's total losses exceed the $7m shown. The second account attributed to the French-Canadian entrepreneur "patatino" was also on Full Tilt, and shows $5,924,546 in losses between April 5th 2007 and February 2009. 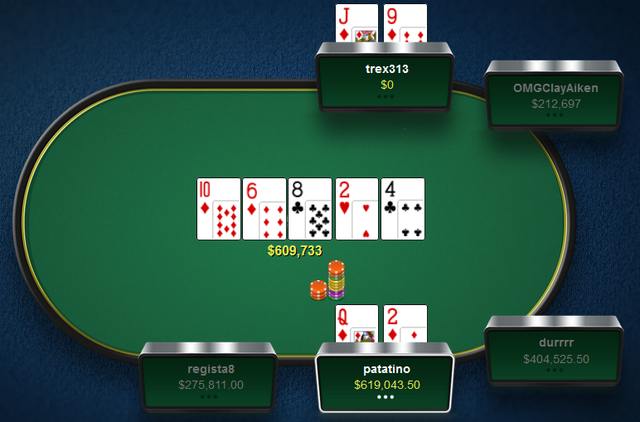 One positive thing to say about the "patatino" account is that Guy was playing it when he won the biggest pot of his online career playing 6max $500/$1000 NLHE - and it's certainly the biggest pot ever won with just a pair of deuces! Three-handed to the flop, OMGClayAiken gets out of the way as Hac "trex313" Dang and patatino get involved in a raising war on a 10d 6d 8c flop. 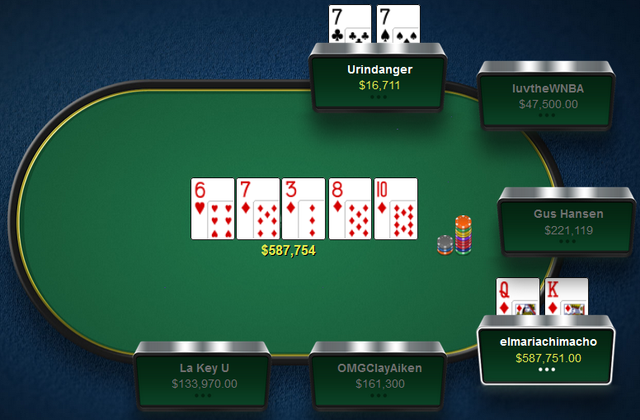 With each playing almost 300 big blinds deep a huge $609,733 pot is made on the flop. Dang had gone with Jd9d for an open-ended straight draw and Jack high flush draw while patatino had risked $300k with a naked Queen high flush draw holding Qd 2d. The card which settles the pot is the 2h which fell on the turn, with the 4c making no difference on the river. The next account associated with Laliberte, again at Full Tilt, was lady marmelade, which was first seen on April 12th 2008 and was active until the start of 2009. 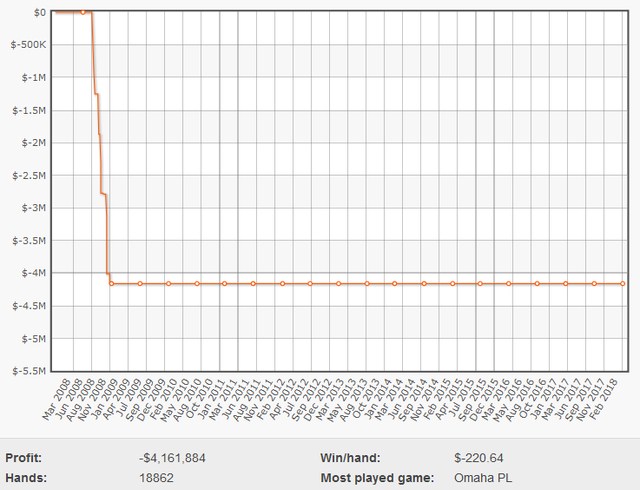 In 36.7k hands the account lost Guy another $6,632,177, making it his second biggest losing account. The least used of Guy Laliberte's known accounts was that of elmariachimacho, where he played 18,862 hands between September 1st 2008 and the end of the year, losing another $4,161,884 in the process. 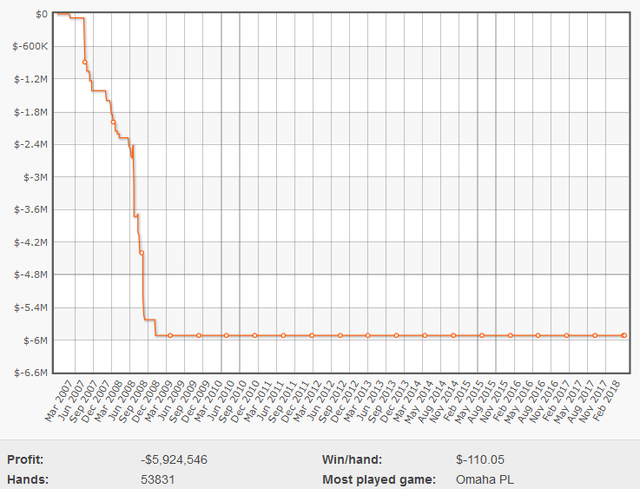 The account did, however, produce Guy's only other +$500k winning pot. 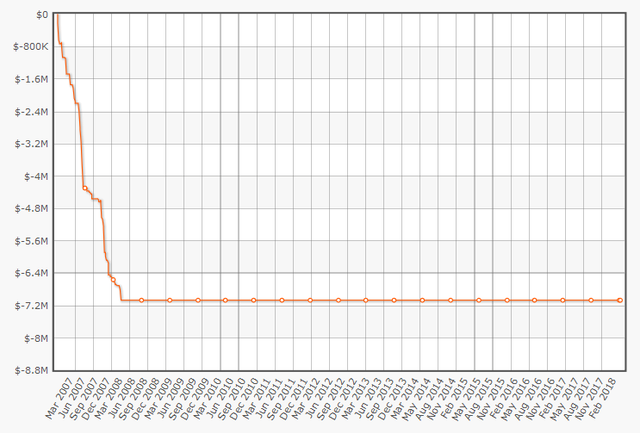 Other than this near $600k pot, elmariachimacho was Laliberte's fastest losing account and he lost an average of more than $220 for each of the 18,862 hands he played on it. The final Full Tilt account we know to be Laliberte's is Esvedra on which he played for a year from July 2010-2011, putting in another 29,341 hands for a total loss of $2,685,018. The last known account of Guy Laliberte is the PokerStars account "Zypherin" which ran from January 2011 to October 2012. This was Laliberte's most active account where he played 123,261 hands, almost double the number of his next busiest account, noataima. During these 123k hands he lost another $4,607,380 - although it was by far his slowest loss rate at just $37.37 lost on average per hand. Although this is more likely indicative of the substantially lower high stakes games which run at PokerStars as compared with Full Tilt than of any massive increase in skill on Laliberte's part. Interestingly Zypherin ceased playing at precisely the time the new Full Tilt re-opened. This would make sense as it would stand to reason that Laliberte would naturally want to play the highest stakes available, and from the moment they re-opened their doors, Full Tilt had by far the bigger games. However, we have never discovered whether or not the Canadian businessman ever opened a new Full Tilt account, and most of the biggest losing accounts from Full Tilt's second coming are accounted for. If anyone knows of any other Guy Laliberte accounts be sure to let us know so that we can update our stats. As it stands though, the total combined losses of Guy Laliberte at the high stakes tables of Full Tilt and PokerStars amount to an eye watering $31,078,040, at a rate of roughly $6m a year! Still, as this figure represents less than 3% of Laliberte's net worth, and is actually $4m less than he spent on his 2009 12 day tourist trip into space at least he can afford it!